I am absolutely thrilled to introduce you to my writings and videos – books and poetry and inspirational videos, quotes pictures and stories all aimed at identifying with you, giving expression both to the pain and wisdom of living, finding our way to the gold in the rubble of our lives. Creating and designing a life of healing, joy and significance. Enjoy the feast of lovely, deliciously ‘good for you’ inspired ideas, resources and opportunities to connect with others. You will find yourself in the poems and in the short stories but you will also find inspiration to take your journey forward towards your destined future. Also visit my Official Facebook page http://www.facebook.com/SelasieBulmuo and see what I have been up to lately. This page is a social synergy aimed at providing the inspiration and support you need to steer your life back into the right track. I am presently on a weight loss journey having already lost 35 pounds in 5 months. • A Qualified and experienced Social Worker and Director of SJB Resource Limited, a Social Capital Builder focused on the provision of services to individuals and groups particularly families in crisis. SJB Resource Ltd (www.sjbresource.co.uk) is a Social Capital Builder. • A Conference Speaker and Co-Pastor of Fountain Gate Chapel, Life Pastures, North London with her husband Reverend Grant Bulmuo and also with a team of able Pastors and Ministers. The congregation affectionately call her Lady Pastor Selasie. She is a dynamic preacher of the Word of God and is known for her revelatory and wise teachings which challenges people to re-think, reconsider and recover from the adversities of life and move towards walking in the sure purposes of God for their lives. Visit her blog http://www.neitherdoicondemnyou.wordpress.com for christian articles, expositions, Q&A and other christian themed write ups. Selasie is a mother of two sons and a daughter. 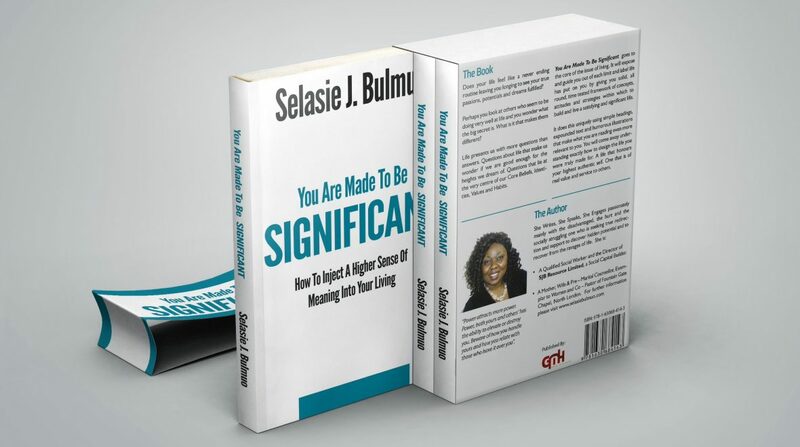 • For invitations to speaking engagements, conferences, workshops and other Bespoke events please send an email request or complete the Contact Me form at http://www.selasiebulmuo.com which is my official website.